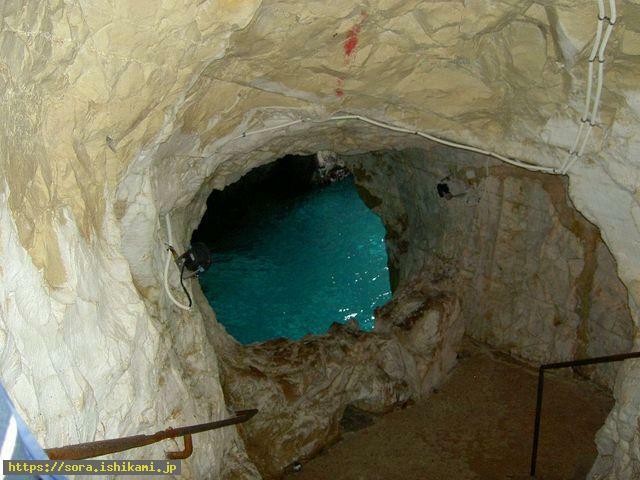 It is the cave which is on the boundary between Israel and Lebanon. According to 'THE UNIVERSE(THE SKY)=SORA', the water which is seen from this round hole is as follows. "The round water is the earth which is seen from the vast universe. The earth exists in the valley of the universe. Every kind of evil spiritual bodies of the stars(garbages) came down to this valley of the universe. They did evil deeds hiding. And the earth has been kept being made a fool of by them. Humans on the earth discard the useless things as garbages but garbages are also made of atoms with awareness. Therefore atoms which are discarded as garbages do evil deeds?